Established in 1973, European University (EU) is an internationally-accredited, multi-campus business school. Offering small, dynamic classes offered in English, students from over 100 countries enjoy studying in an international environment. 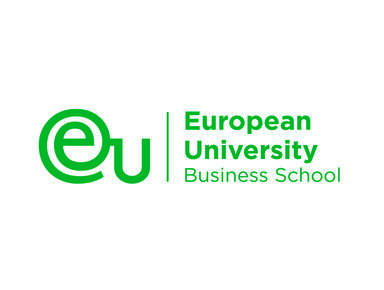 EU offers Business Foundation (BF), Bachelor (BBA), Master (MBA) and Doctor (DBA) of Business Administration programs with majors in Business Administration; Communication & Public Relations; Leisure & Tourism Management; Business Finance; Sports Management; Entrepreneurship; E-Business; International Relations; Design Management; Sustainability Management and Family Business among others. With main locations in Geneva, Montreux, Munich and Barcelona, EU encourages its students to participate in inter-campus exchanges as all four main campuses share identical curricula and textbooks. It also has global partnerships and encourages exchanges to other countries including Spain, Switzerland, Germany, United Kingdom, Russia, Kazakhstan, Taiwan, Malaysia and China. European University (EU) is accredited by the Accreditation Council for Business Schools and Programs (ACBSP) and the International Assembly for Collegiate Business Education (IACBE); both organizations recognized by the Council for Higher Education Accreditation (CHEA). EU also holds an International Quality Award (IQA) accreditation as awarded by the Central and East European Management Development Association (CEEMAN). To get more information, please send us an email or give us a call for a personal consultation.